CJC 1295 without DAC is a 30 amino acid peptide hormone, better known in the community as a GHRH (growth hormone releasing hormone). As I have just stated above, when a person sees the term CJC 1295 without DAC this is really means that they are looking at MOD GRF 1-29. This tetrasubstitued peptide is a modified version of the original GRF 1-29 peptide better known as Semorelin. Due to the extreme short half life of the original GRF 1-29, chemists were able to modify the peptide to offer a longer biological activity that reduced the metabolic clearance. Although with MOD GRF 1-29 its modification had resulted in a greater peptide bond, the average user will still likely need to inject two to three times a day with a GHRP to get the maximum effectiveness for releasing endogenous growth hormone. Now when the drug affinity complex (DAC) was added to CJC 1295, it allowed for an even greater possibility to utilize smaller GH pulses (what was once thought of as a bleed) that, when combined with a GHRP, will activate growth hormone stores to release throughout the day and night. When the DAC component was added, this allowed the peptide half-life to be extended to about one week and also provided for steadier blood levels after injection. Now that we understand how important the DAC factor is, this becomes a much more viable and cost effective way to utilize CJC 1295 with DAC along with a GHRP. The DAC, when added, is able to bind to albumin that circulates the body, literally being able to last for days as it looks for receptors to bind to. So, in short, if you prefer to use shorter spikes of GH release then the use of the MOD GRF 1-29 (CJC 1295 without DAC) is going to be optimal. However, if your prefer fewer injections and still want to unleash your growth hormone stores, then 2-3 times a week injections of CJC 1295 with DAC along with your daily injection of GHRP would be the way to proceed for maximizing growth hormone release. The naming might have thrown you for a loop, but don’t let that stop you from understanding the reason why you should utilize one of the best GHRH’s out there. CJC 1295 is probably the best and most widely use GHRH along with your chosen GHRP. Like all of the other peptides you are dealing with, it is a delicate lyophilized powder that should be kept out of the light and in a cool dry place. Reconstitution is done with bacteriostatic water or sodium chloride meant for injection. As already stated before, to mimic the natural release of growth hormone through the natural spikes you would achieve through the day MOD GRF 1-29 (CJC 1295 without DAC) should be injected 1-3 times per day at 100mcg-200mcg doses along with your GHRP of choice. Now, the most cost effective and in my opinion better way to utilize CJC 1295 is to go with the CJC 1295 with DAC. This will allow the bodybuilder or athlete to inject 2mg of CJC 1295 with DAC twice weekly along with their daily injection of GHRP. This will offer smaller but more frequent growth hormone pulses that would ideally get a user closer to exogenous HGH doses. Water retention, tingling, numbness and decreased insulin can be associated with use of CJC 1295. Also noted is tiredness, feeling of lethargy, head rush or euphoria, itching. Positive side effects can be increased lean body mass, increased protein synthesis, faster recover, reduced body fat, promotion of bone density, and cellular stimulation for internal organs and skin cells. 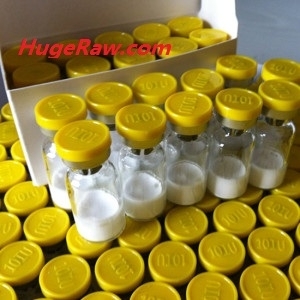 In conclusion, CJC 1295 with DAC is a powerful growth hormone releasing hormone that can be effectively used with a GHRP in order to maximize the greatest endogenous growth hormone release bodybuilders and athletes are looking for. Even though CJC 1295 with DAC may be a bit more expensive than MOD GRF 1-29 (CJC 1295 without DAC), it is still the preferred and more powerful GHRH component in your peptide protocol.